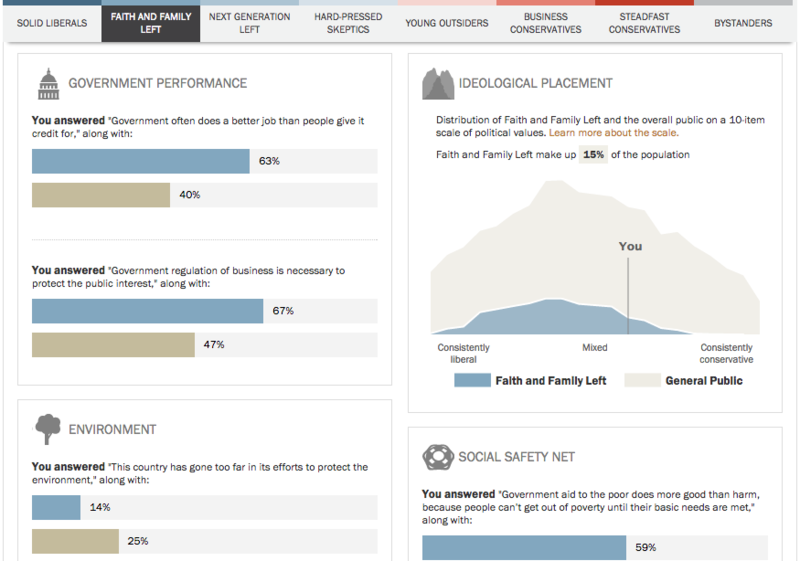 Providing a way for the public to relate with Pew Research Center findings is often a priority. 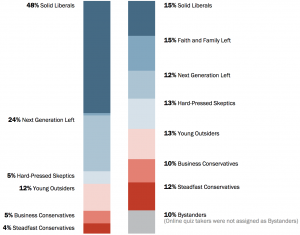 For our political typology research, we accomplish this with a quiz. From an earlier version of this quiz, we discovered that college professors often had their students take the quiz to understand the subject more. The /r/Florida group (left) mostly consisted of liberal users. To serve this audience better, we built a group option – aggregating results to help students understand the political spectrum around them. One group was created for the Florida Reddit community (right). In addition to their classification, a group can compare their responses to individual questions. We used the same platform to build a library user typology quiz, but as you can imagine the political quiz was more popular with our users.